Two hundred years ago, on Christmas Eve 1814, British and American diplomats signed the Treaty of Ghent, ending the War of 1812. Yet the war continued unabated because the news took six weeks to cross the Atlantic. The treaty arrived in New York on February 11, the Senate ratified it unanimously a week later, and fighting and skirmishes flared across the United States until the end of February, as word of the truce and treaty gradually reached combatants. And so the war was officially over when one of its bloodiest battles took place. The previous summer, the British had begun planning an invasion of the Gulf Coast, and by mid-September Andrew Jackson knew something was afoot—but he wasn't sure where it would happen. When he and his soldiers dislodged enemy forces from Pensacola in early November, he learned from a merchant who had just arrived from Jamaica that New Orleans was the target. Jackson rushed to the city, reaching it on December 1, and mobilized its defenses. Three weeks later, after delays navigating heavy barges in the shallow waters of Lake Borgne, British forces completed their landing on December 23 and established their headquarters eight miles below New Orleans on the Mississippi. A series of confrontations occurred during the next two weeks. The very night the British landed, Jackson led eighteen hundred men in a surprise attack that ended with a couple of hundred casualties on each side. Over the next two days additional British forces arrived, including Major General Sir Edward Pakenham, who assumed command and who launched an abortive attack on December 28. Another clash took place on New Year’s Day, but ended when the British ran out of ammunition. The British forces vastly outnumbered the Americans, yet Pakenham did not seek to press his advantage, preferring instead to wait on artillery laboriously brought up from Vice Admiral Alexander Cochrane’s ships. The delay allowed Jackson to establish formidable lines of defense below the city, and the inevitable cataclysm, which finally took place on January 8, ultimately cost Pakenham his life and resulted in a devastating loss to the British army. 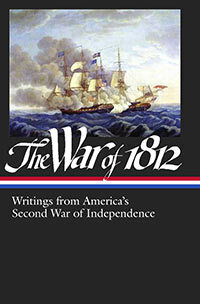 Our Story of the Week selection, written by one of Jackson’s Kentucky riflemen, is a spellbinding and sometimes giddy account of this last major battle of the War of 1812. Jackson emerged from the war as an outsized hero, and his commitment to democracy and slavery as well as to territorial expansion and Indian removal epitomized the jarring forces that would shape the nation in the postwar era. The victory at New Orleans was no less important because it transformed how the war was remembered. Americans boasted how they had defeated “Wellington’s invincibles” and “the conquerors of the conquerors of Europe.” They forgot the causes of the war and lost sight of how close the nation had come to military defeat and financial collapse. They remembered instead that they had beaten back an attempt to re-colonize the nation, that they had decisively defeated the conqueror of Napoleon and the Ruler of the Waves. Note: One of the American soldiers in this account promises vengeance for “River Raisin.” In January 1813 American militia forces from Kentucky, led by Brigadier General James Winchester, attempted to protect settlers on the River Raisin in Michigan Territory but were defeated at the Battle of Frenchtown. Winchester surrendered his entire force. The British commander, unprepared to deal with so many prisoners, left the wounded under the protection of a small retinue. The next day Indians killed approximately thirty Americans; the slaughter became known as the River Raisin Massacre and served as a rallying cry for Kentucky soldiers for the remainder of the war. Col. Smiley, from Bardstown, was the first one who gave us orders to fire from our part of the line; and then, I reckon, there was a pretty considerable noise. . . . If you don't see the full selection below, click here (PDF) or click here (Google Docs) to read it—free!